It’s summer here in Chile and during the summer, the church in Arica only has services at 8:00 at night, so the rest of the day really is spent resting and spending time with family. In March, Sunday School will start back up, but the service will remain in the evenings. We spent part of the morning at the big market in town, getting food for lunch. It was nice to have a chance to look a little more at what different foods here cost. We’re happy to report that fruits, veggies, and bread are all very cheap. We even found eggs cheaper than we did the other day! 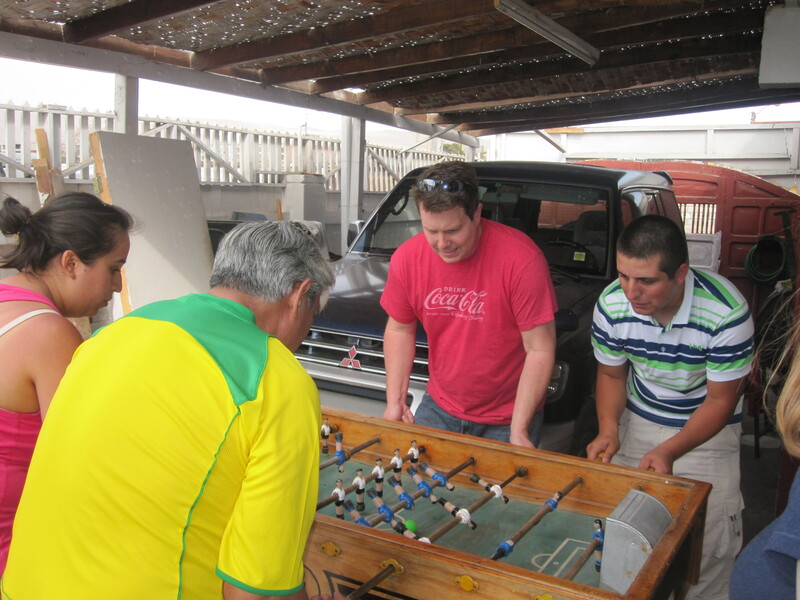 After the market, we had a nice lunch at the church followed by several rousing games of foosball. Blake and I got school each time. We’ll have to practice. The church service was very special. 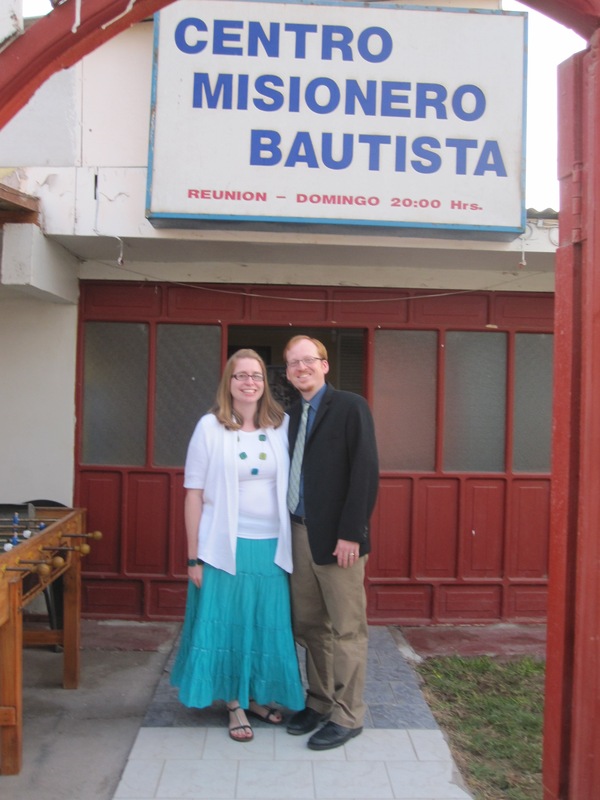 There was another young missionary couple visiting, as well, so it was a missionary service. The couple works in Iquique, about five hours south of here, with Aymara. Besides them and Marcelo, Blake and I will be the only other missionaries in the north. 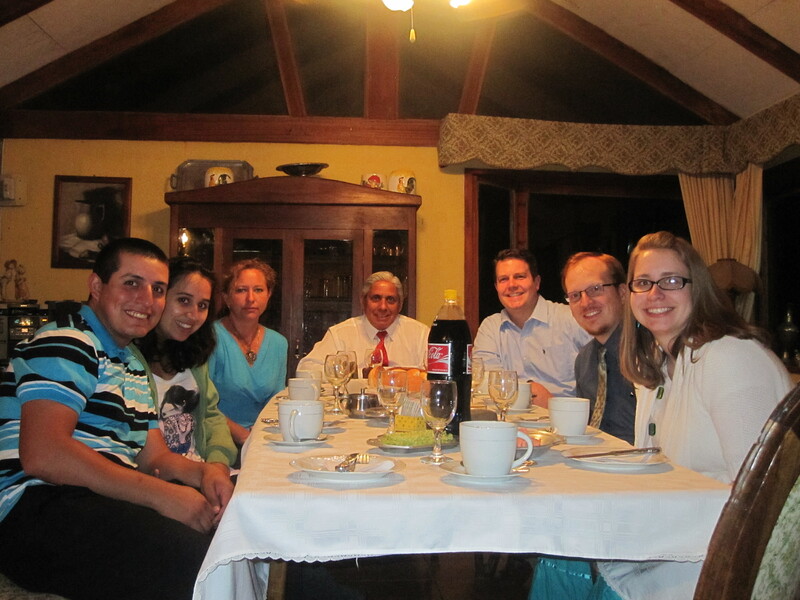 Anyways, David and Luz brought greetings from Iquique then I was called up to tell a little bit of our story. Since I thought I’d only be translating for Chris when he told about how CBF’s partnership with UBACH had led to our coming I was quite caught off guard when Marcelo invited me to the front to share. I fumbled through some things, then translated for Chris. I’m so glad that the people here are so gracious. When I couldn’t come up with the right word, several people in the congregation would voice what they thought we were trying to say. After Chris spoke, Marcelo called all of the missionaries up to the front to be prayed for. It was so special—like another commissioning service. I found it interested that before we prayed, Marcelo said that we all must be crazy to be leaving our families and familiar surroundings to go somewhere so far away. It reminded me of something similar that Rob Nash said at our CBF commissioning service. Maybe we are crazy, but it doesn’t feel like it. : ) The prayer was beautiful and I could hear sniffles coming from Marcelo, as well as myself. He has prayed for so long for God to send someone to help with the work here. He keeps saying that no one has ever wanted to come to the north—that missionaries only want to work in southern Chile. After spending almost a week here, I can’t imagine wanting to work anywhere else. Blake gave a sermon on how small acts, small changes that we make in our lives and can a big difference. He talked about the tiny mustard seed and how when planted, it takes over the entire garden. Even though the church may be small, they can still make a difference here in Arica and in the communities up in the mountains. I’m very proud of his first sermon here. I think all of the speaking engagements we had during this winter have made him a better speaker. How fun! I love how they just love to hang out and be with people. You all fit right in!